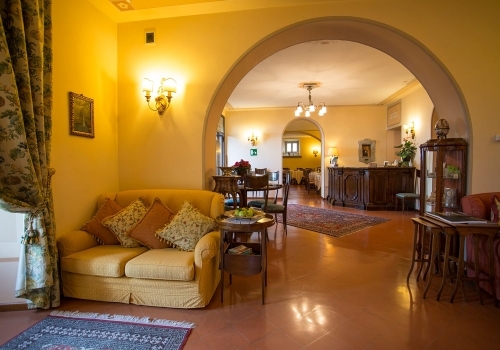 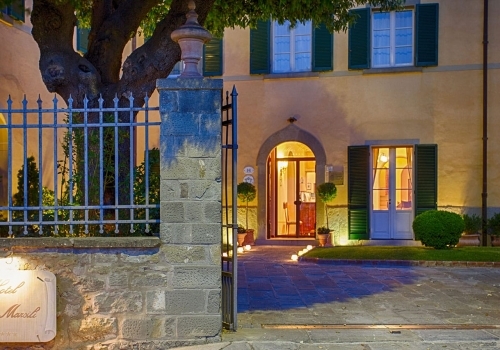 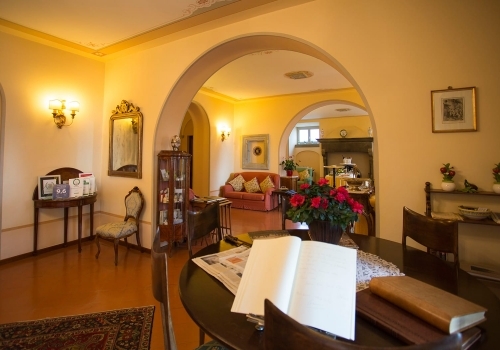 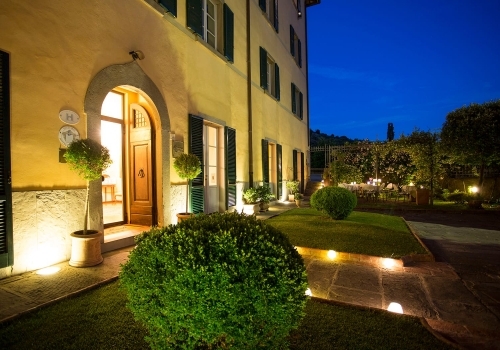 Hotel Villa Marsili, situated in an optimum position to the center of Cortona, perfectly restored, offers you an extraordinary welcome in his marvelous luxury rooms and suites. 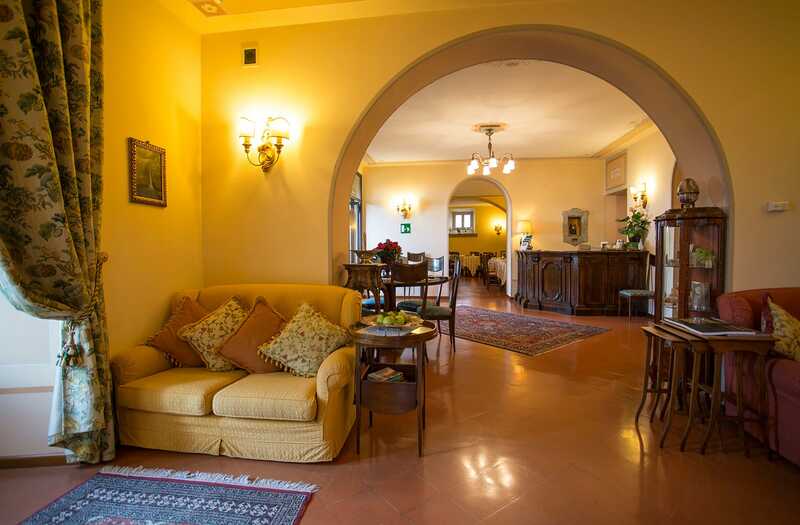 The antique furniture, the fabrics and curtains, the warm tones of the frescoed walls, all confer a discreet luxury which matches perfectly with efficiency and modernity, not omitting comfort and the aesthetics. 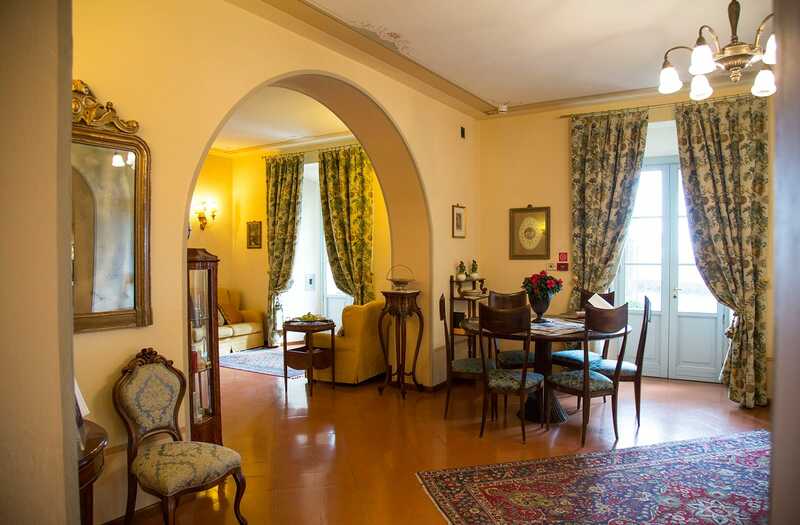 The panoramic position will amaze you. 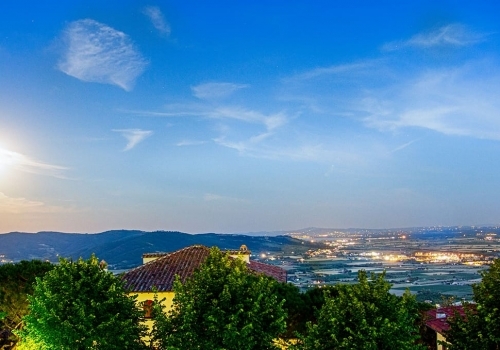 You can enjoy spectacular sunsets and emotions of the Valdichiana Valley, with its velvet colors, the thousands of shades of green in the distance which take you to the horizon of the Senese hills, and embrace with a glance this land of wonders, full of history, perfume, unique tastes and authenticity. 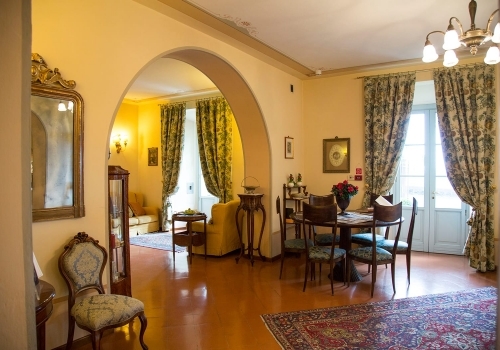 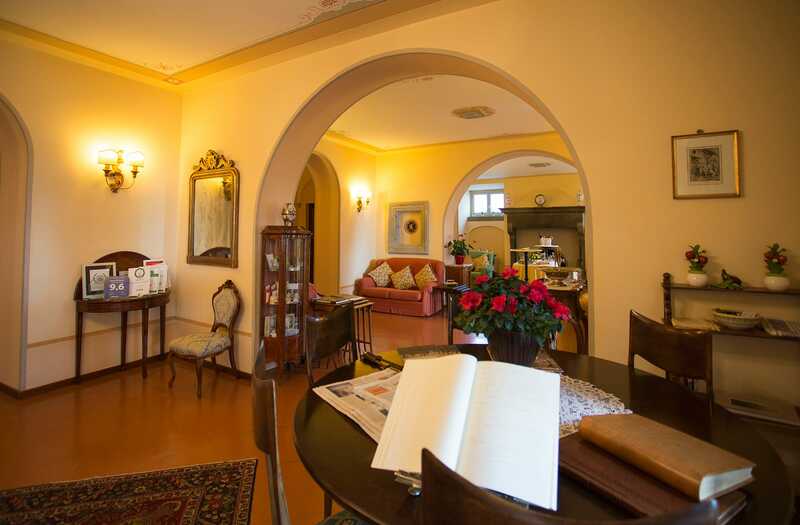 The style of the building, the place where it is located, and the panoramic position recall the fascinating atmosphere of the epoch, abide by a wise and complete renovation, that recovered the stylistic and architectural characters of the Villa, hidden by the previus centuries restoration works. 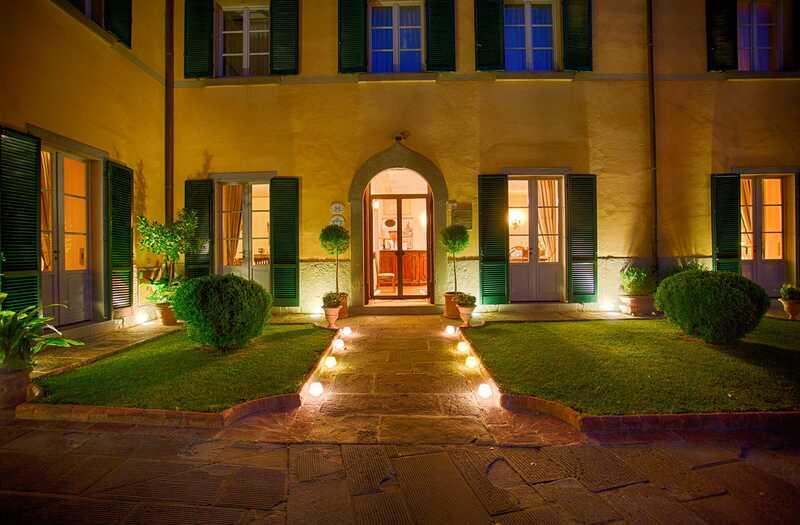 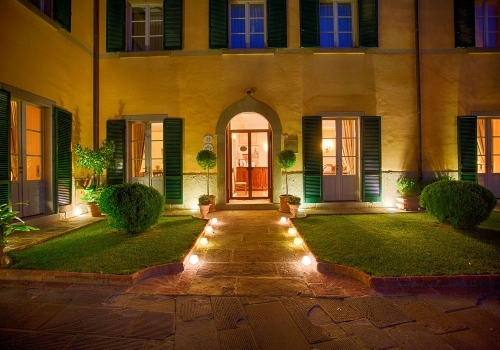 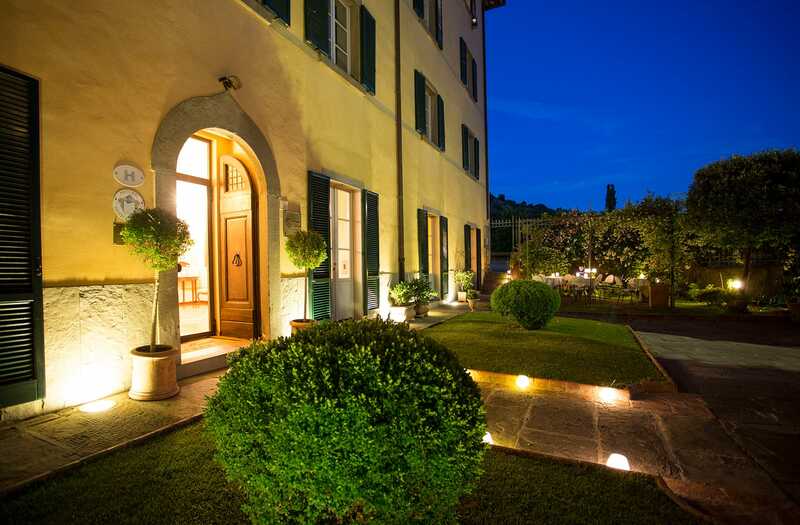 Today, this historical residence is Villa Marsili, the only hotel in Cortona that overlook the Valley. 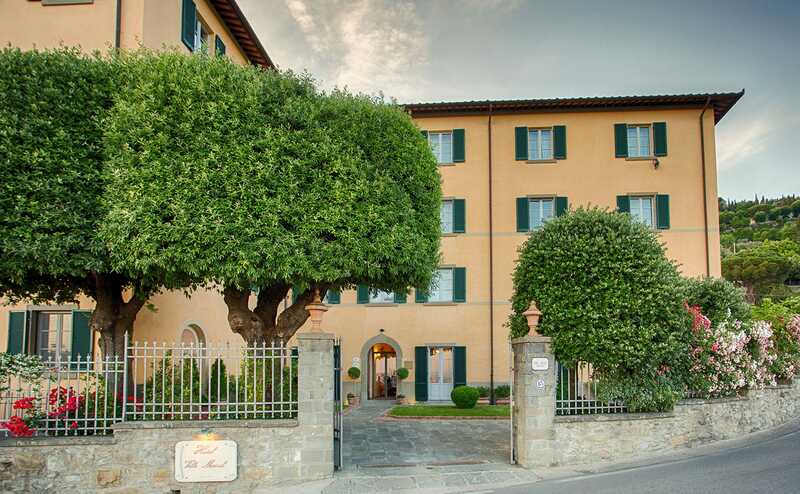 Villa Marsili has a strategic position to reach the most beautiful and interesting tourist attractions in Tuscany and Umbria. 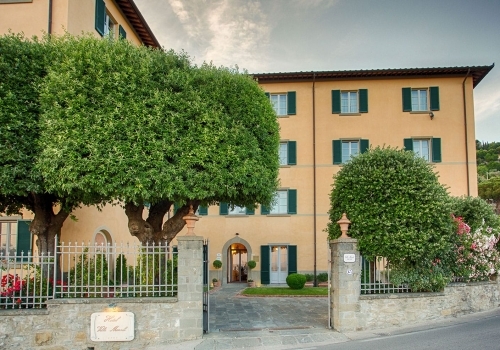 Arezzo, Firenze, Siena, Montepulciano, Assisi, Perugia, are only some of the many places to visit. 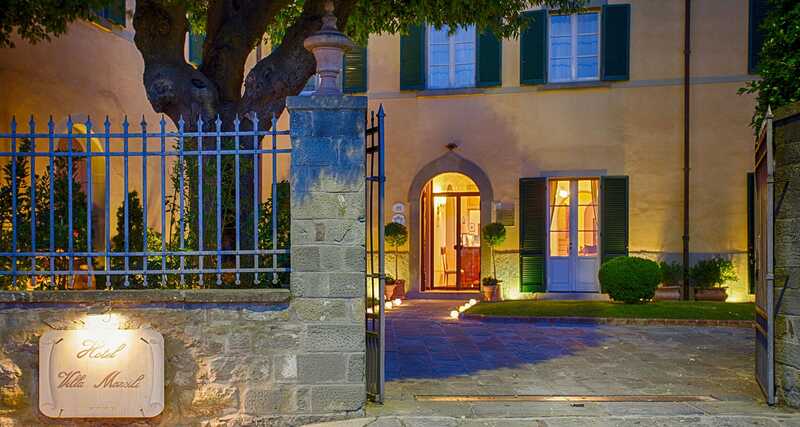 Cortona is in the centre of a perfect historical and cultural position, which is envied throughout the world.